SPECIAL DEAL - Usually 39.99, today just 19.99 - Save £20 - Whilst Stocks Last!! 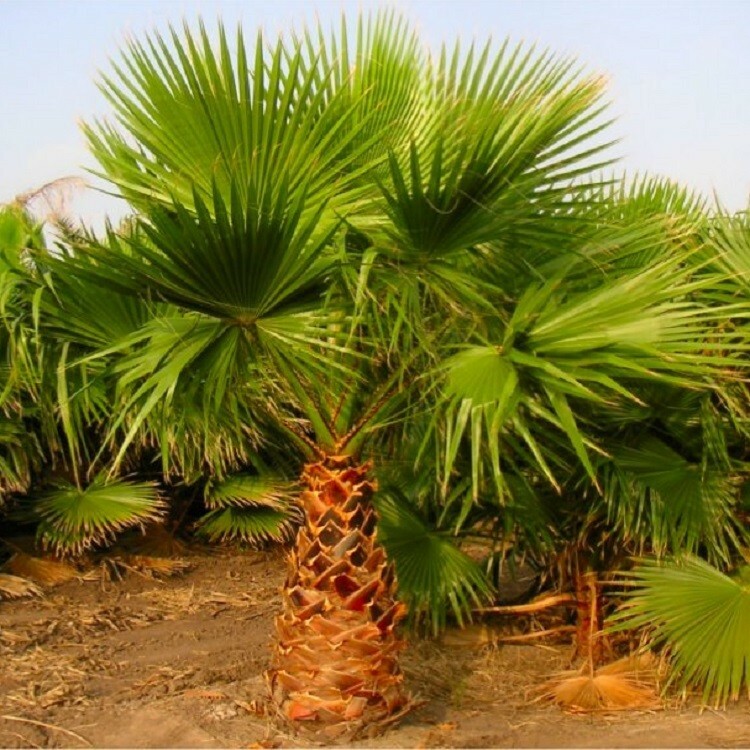 This Mexican Fan Palm - Washingtonia Robusta - is supplied at approx 75-100cms (3-4ft) tall for instant impact on your patio or deck, or even used as an attractive house plant to fill a bare corner. This Mexican Fan Palm, or Skyduster as it is also known, is a really architectural plant. 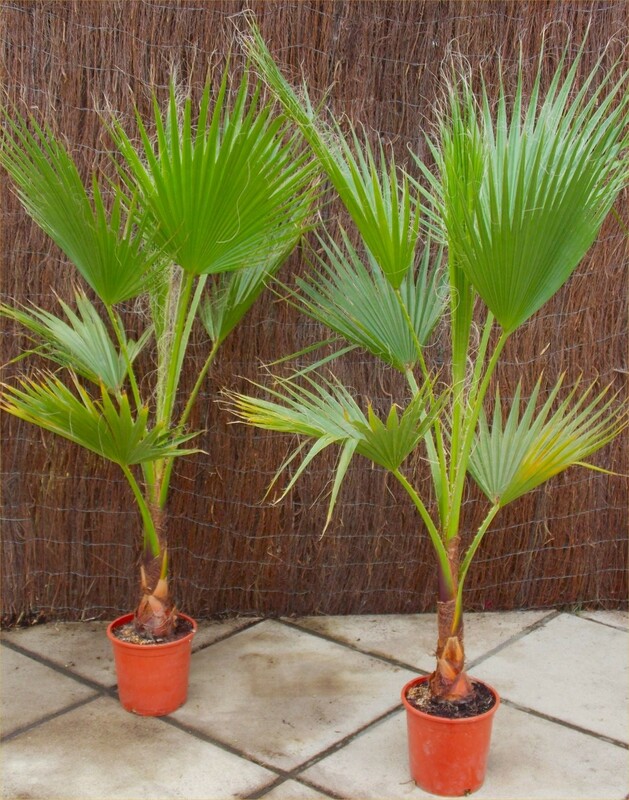 Ideal grown in planters to grace a patio or deck, it is one of the fastest growing palms, and can also be enjoyed indoors as a house plant. We like to keep ours outside in the summer, and move to the conservatory over winter to protect them from the worst of the British weather! As the name suggests this palm originates in Mexico, it is also the iconic Hollywood palm that lines the boulevards of Los Angeles and Beverley Hills in California, USA. It's perfectly easy to grow in the UK though, with plants reputedly being hardy to as low as -8c, although frost as cold as this may cause some leaf damage, it is possible to protect a palm with fleece over winter if it's expected to be really cold. 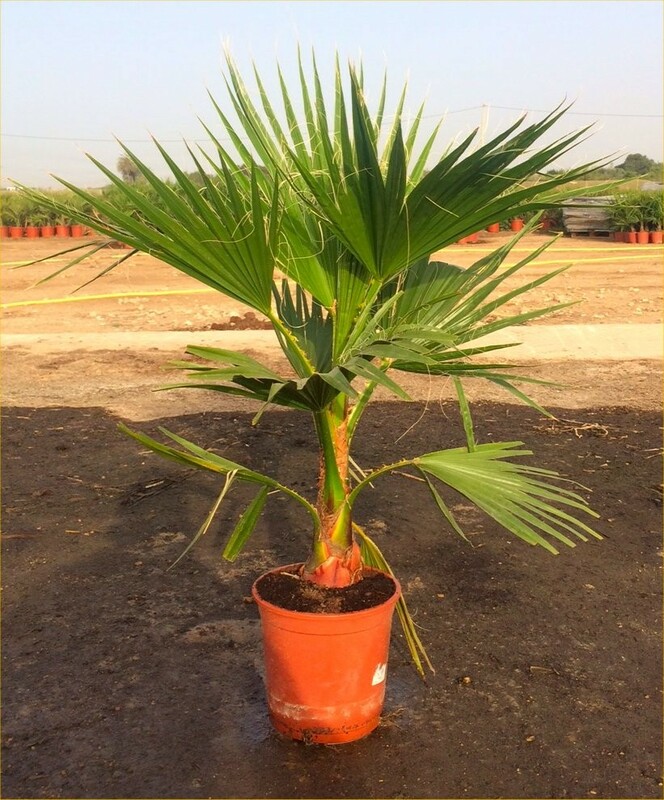 Over time Washingtonia palms will form a tall, slender trunk topped with massive fan-shaped leaves. It will do best in a bright sunny warm position in free draining soil. Our current stock is excellent quality, nice and chunky with fresh lush green leaves. 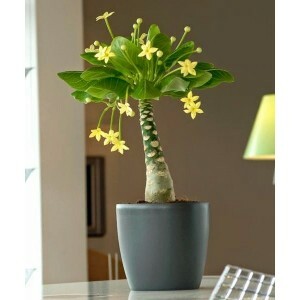 Each supplied in pots with an overall height of up to around 75-120cms (3-4ft) tall. The actual stock dispatched is pictured.